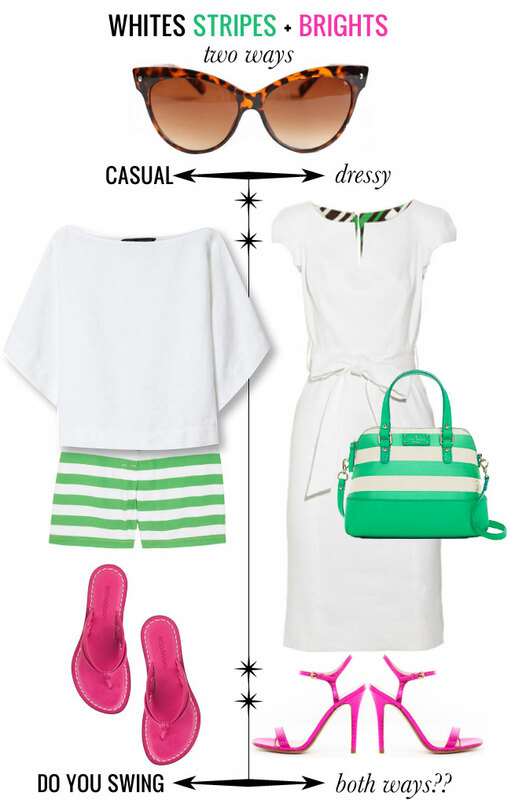 You know you've gone done it right - when your bedecked in whites, stripes + brights!! This winning combination never fails - looks smashing if you're overly tanned or painfully pale - and goes with a glamorous updo or a messy ponytail! This is a look that can be mastered by both the casual + the dressy - and looks good on all walks, not just the preppy! The next time you're pulling out tomorrow's ensemble - look no further than the makings of the above clothing model!